Air Quality Assessments Ltd, established in 2014, is based in the South West, and provides specialist ambient air quality advice and services to clients across the UK. We offer an independent and personal service, and work with developers, planners and architects to get projects through the planning and permitting system. Our aim is to provide a cost effective, high quality service to ensure the return of satisfied clients. The directors of the company are Bob and Alison Thomas. Bob Thomas is a Chartered Scientist (CSci) with eleven years experience working in the sciences, and over seven years experience working in the field of air quality management. He is well qualified, with an MSc in Air Pollution Management and Control, a PgDip in Environmental Toxicology and Pollution Monitoring, and a BSc in Earth Sciences. 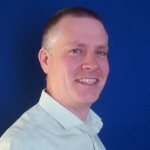 Bob has previously worked at Peter Brett Associates LLP and Air Quality Consultants Ltd and is a member of the Institution of Environmental Sciences and the Institute of Air Quality Management. Alison Thomas provides administrative support at the company. She has many years secretarial and admin. experience, having worked as a PA for an acoustic consultant and as a legal secretary for a firm of solicitors.